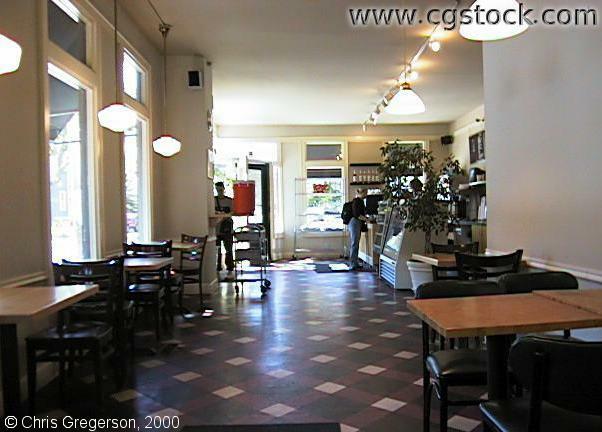 This is the interior of "The Urban Bean" coffee shop on Bryant Avenue South and 33rd Street. 33rd is outside the windows on the left. There is another room around the corner on the right.